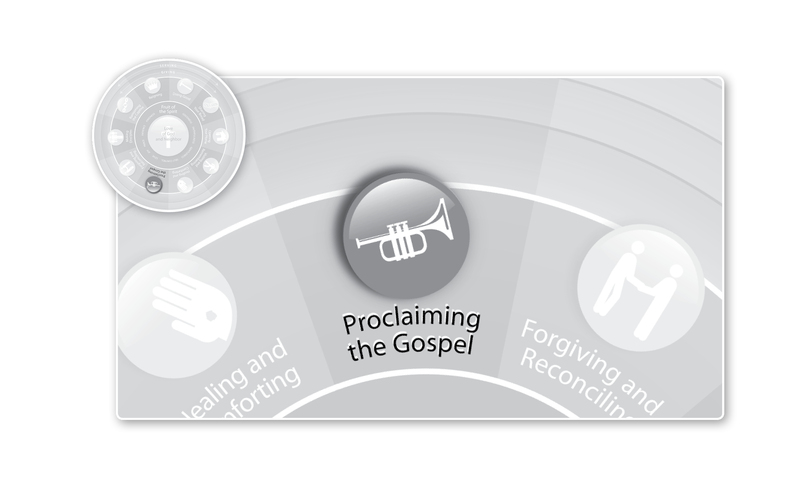 In our last post, we came right up to the point of revealing the central mystery about proclaiming the gospel. So what was this mystery that Jesus shared with those who believed? And what was the answer that Jesus gave? In Matthew 13 and in Mark 4, he lays out a series of parables. Now because we don’t understand the question Jesus’ hearers were asking—the main question his ministry raised—we tend to misunderstand these parables, and we make them into sweet generalizations about life and spiritual growth. But if you re-read the parables with the questions in mind that we’re talking about here—namely, “How can Jesus be the Messiah if fire is not falling from heaven and the world is not ending?”—they make tons more sense. Take, for example, the parable of the seed and the sower in Mark 4:3-9, the parable of the seed growing in Mark 4:26-29, and the parable of the mustard seed in Mark 4:30-32. Notice anything in common there? So does that mean that the prophets were wrong when they predicted that the world would end with a bang? Not wrong at all, says Jesus. In fact, right after he rebukes the Pharisees, he turns to his disciples privately in Luke 17:22-37—remember, to the one who believes Jesus, to that one and only to that one are the secrets revealed—and Jesus shares with them that, yes, the time will come when the mountains will tremble and fire will fall from the skies, just like the prophets have said. But that time is not yet. Why? Because, as Jesus would later show his disciples (including the two on the Emmaus Road after his resurrection), there’s a theme that runs through all of Scripture—a prophesy—that the Pharisees and John the Baptist and the religious leaders failed to see; namely, that the Messiah must suffer and die in order for the day of the Lord to be inaugurated. To put it very bluntly, for the day of the Lord to come, first the Lord must die. How will the Lord defeat death? The only way is for him to swallow death up in his own eternal life. How will the Lord forgive sins and yet uphold his justice? The only way is for him to pay the penalty himself. How can we come to obey the Lord’s commandments with a new heart? The only way is for the Lord’s own heart to be placed inside of us, which can only come from us being joined with him in his death and resurrection. How can the Lord raise up the righteous? It turns out that, as Paul says in Romans 3:10, quoting the Psalms: “None is righteous, no, not one.” Or, as Alexander Solzhenitsyn puts it, the line between good and evil runs down the heart of every human being. So if the day of the Lord came like the Pharisees and John the Baptist had wanted, everyone—everyone—would have been destroyed. Only through God himself coming and being planted as a seed could his life be placed in ours through the Holy Spirit so that we could become righteous and stand at the last day. How does the Lord heal? As Isaiah 53:4 tells us, he bears our diseases. Sin, sickness, and death—the unholy trinity, are joined at the hip. He must plunge all three down into death—and only his own death can accomplish this, because he is the only one on whom the unholy trinity have no claim because of his sinlessness. And how can we live righteously? Some Christians today say it’s impossible—that Jesus only gave us the Sermon on the Mount so we would recognize that it’s impossible for us to love our enemies and overcome the lust and anger in our hearts. But they say these things because they believe too little. They do not believe all that the prophets have spoken. They can believe that Christ forgives our sins, but they cannot believe that he creates a new heart in us—his own heart—that, in response to our believing him, we accomplish things by the power of the Holy Spirit that are beyond the human imagination. It’s the worst theology ever to think that we earn his forgiveness by doing these things. Of course we don’t. We can only even do these things because we have freely received not only his forgiveness but also his Holy Spirit working in us. So why doesn’t everyone get healed when we pray for them, and why do we still struggle with lust and anger, and why do our enemies still triumph over us, and why is the world still so hopelessly fallen? Because, says Jesus, the kingdom of God is a seed. It takes root and grows and spreads. It sanctifies us. The end has not yet ended—sin, illness, and death still hem us in on every side. But the new beginning has begun, and the victory is assured by his resurrection from the dead. All of this has tremendous implications to how we are to proclaim the gospel, and we’ll talk about this beginning in our next post. For now it’s enough to remember that we are called to proclaim the same gospel the same way he did and to understand who we are as we proclaim it. We are the first fruits of a new creation. Members of his body. We ourselves are parables, really. Signs—and proof—of the ending of a very old and tired and evil age, and signs of the coming of a very new and perfect and eternal one. That new creation will finally come with a bang when he returns in glory. One of the errors we Christians sometimes make is to think that because the kingdom comes as a seed, it will just keep on growing until it is fully grown right here in the world. But as Jesus makes clear, the old heavens and the earth must finally be rolled up like a scroll and the sin, death, and evil that infect every seam of God’s good creation must be destroyed. The universe can’t just grow out of sin, death, and evil. But until the “end of the end” comes, in this old creation we are the sign that the ending is beginning and the beginning is ending. We mirror his proclamation into the world so that when people see us and hear us they believe him and are drawn to him. Like him, we don’t chase after or try to convince those who doubt or reject us, and we share the mysteries only with those who believe. And because you have believed, even more will be given to you—insight, provision, care, sanctification, growing awareness of the love and power of God—in this age and all the way into the age to come. This entry was posted in Uncategorized and tagged Christianity, Discipleship, Gospel, Jesus, Kingdom of God, Parables, Proclaiming the Gospel, Theology, Whole Life Offering. Bookmark the permalink.